The Colts and Indiana Pork have partnered in search of the best pork tailgate recipe in all of Colts Nation, and guess who is in charge of it? Yours truly! We’re going to be searching for the best pork tailgate recipes you have to offer. This week, our favorite was from Jake Hehman of Greenwood, Indiana. His smoked pulled pork recipe makes my mouth water just reading it! Wow, I may need to try this out for myself! Jake will receive a prize pack consisting of a $75 Meijer gift certificate, Bacon Nation Cook Book, Indiana Pork Apron, Colts hat, Colts yearbook and Colts 2012 Season DVD. 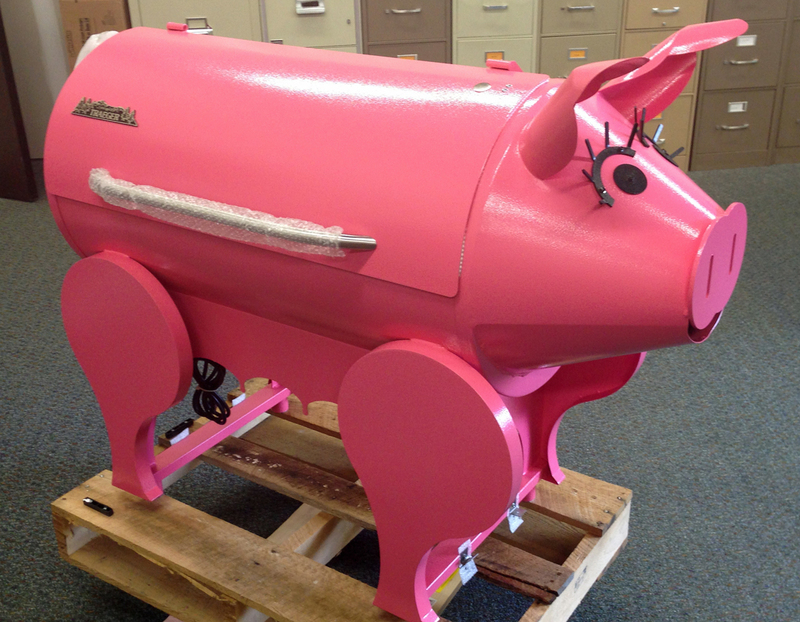 PLUS he will be entered into the grand prize which is the Traeger Lil’ Pig Grill. Think your recipe has what it takes? Enter it here. This is the GRAND PRIZE!! 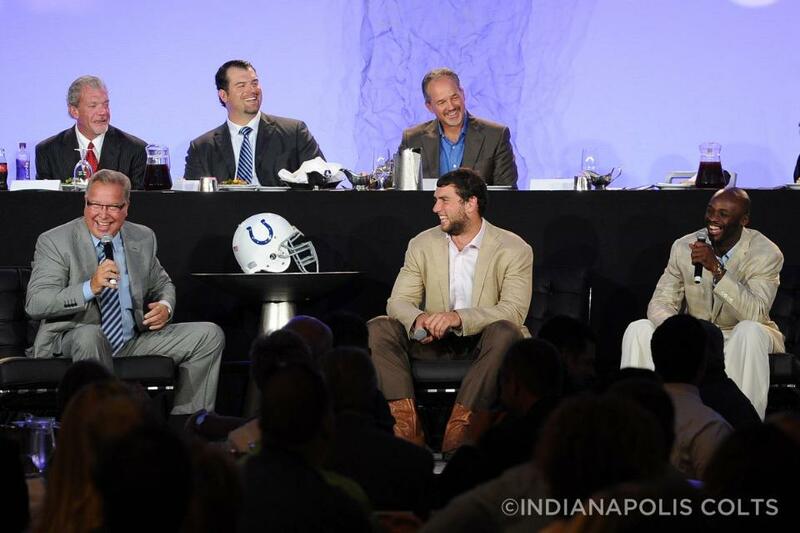 Late last week, ESPN’s Ron Jaworski returned to the city of Indianapolis as the keynote speaker for the Colts Kickoff Luncheon. A few hours before Jaworski spoke at The Westin Hotel, it was announced that Indianapolis was bidding on the 2018 Super Bowl. Jaworski didn’t hold back when talking about his opinion on if Indianapolis should host the Super Bowl again. While future Super Bowls was the early topic for Jaworski, the former NFL quarterback wanted to get into the Colts current Super Bowl chances. He says the excitement that he feels when he comes around the Colts is not something he gets around many NFL teams. As a 17-year NFL veteran, Jaworski has been around his fair share of Super Bowl teams and he sees something similar in the 2013 Indianapolis Colts. The Indianapolis Colts have made some improvements to their digital properties since last season to give fans a better gameday experience regardless of your location. This is our checklist to ensure you get the most comprehensive gameday coverage from your favorite team. Colts.com – Visit Colts.com on gameday to see our interactice gameday page. From scoring updates to social media integration, it’s the one place that is a must for Colts Fans on gameday. Colts Mobile App – Will the roof be open or closed? Who’s playing and who isn’t? Download the Colts Mobile App to stay in the know prior to kickoff and be sure to enable to “push notifications” to get updates sent right to your phone. Going to Lucas Oil Stadium for the game? The Colts Mobile App has tons of built-in features for you to use while at the game. Download the Colts Mobile App here. Social Media – Follow the Colts Official Facebook, Twitter and Instagram pages for behind-the-scenes coverage from gameday regardless of if we’re home or away. Also, follow Colts.com Writers Craig Kelley and Kevin Bowen on Twitter for their thoughts from the games. And of course, follow our Owner Jim Irsay for more news and contests. Hashtags – We have a variety of gameday hashtags for fans to use to interact with the team as well as each other. #ColtsNation is used for fans to connect with other fans from all across the world. #OAKvsIND is our game hashtag, this changes week by week depending on the opponent. #COLTSTRONG is a way for fans to show their pride, you can also use #WeAreCOLTSTRONG as well as #IamCOLTSTRONG as a rally cry to get fired up for the game! Photos – Share your photos on any social networks using #COLTSTRONGfans and we may featuring them on Colts.com! The Colts will embark on their final day of practice this morning in preparation for the regular season opener on Sunday. Today’s news looks at Cory Redding away from football, the return of Anthony Castonzo and Andrew Luck’s low profile. Take a look below at the top pieces from Friday, September 6th. Holder’s Q and A with Cory Redding covers a variety of topics. Redding answers questions on high school football in Texas, his charitable organizations, what type of music he listens to and his favorite television shows. The man who is in charge of protecting the blindside of Andrew Luck returned to practice on Thursday afternoon. With Castonzo returning to the lineup, it looks like the Colts will have their starting offensive line in tact to start the season. Face of the Franchise: Colts QB Andrew Luck says he’s just another second-year player. He is anything but. Keefer’s feature on Luck looks at the signal caller away from the gridiron and the low profile he has kept after on year in the NFL. Luck was busy, after all; the extracurriculars were simply bumped down the list. He finished his degree at Stanford, moved into a downtown Indianapolis apartment and dove into his new playbook. Football came first. The rest waited its turn. “A big part of me wanted to make sure: If you can handle things on the football field, the opportunities will come,” Luck said. For this week, the Colts have their 53-man roster and are ready for the regular season opener? What were your thoughts on this week’s roster cuts? Do you like what you are hearing injury wise heading into Sunday’s game against Oakland? What are your expectations for the regular season opener?